The beginning of the end of Salesforce Classic is near. We’ve been saying that for a while, but now it’s getting real. If you purchased certain Salesforce licenses after July 2018, you never knew Classic. With every Salesforce release, the future of Classic grows dire — and that’s not a bad thing. 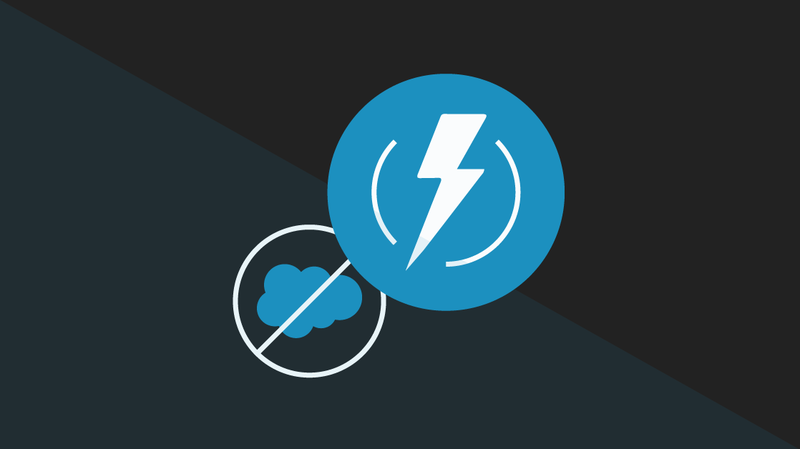 Lightning is the next-generation Salesforce, a collection of tools, services, and components that reinvents the Salesforce user experience. But Salesforce Classic hasn’t faded into the sunset – yet. Salesforce calls Lightning “a completely new Salesforce and a completely new way to sell,” and that can spook organizations that have been doing well with Classic. Established customers of Salesforce, including major clients, have a substantial investment in Salesforce Classic. They have spent time and money developing profiles and customizations, acquiring third-party AppExchange apps, and writing custom code. Just as importantly, users and admins have become skilled at using the old interface. For such customers, making the change to Lightning will be a significant effort, and so Salesforce will continue to support Classic for a long time to come. The nudges to get serious about migrating to Lightning are increasing. In July 2018, new users for Essentials, Professional, and Service Cloud found only Lightning Experience. For such orgs, getting end-user access to Classic involves requesting an exception with Salesforce Support. The Salesforce Classic UI feels like a tired clunky antique compared to dynamic UIs that leverage modern user experience design. Any company that has a product with significant market share must confront the reality of aging. If you don’t reinvent your product, someone else will. Salesforce was beginning to feel that pressure. But if you radically overhaul your successful product, will your customers embrace the new version? When Lightning first appeared, significant features were still only available in Classic. Gradually, Lightning has become complete. With the Winter 2019 release, you can see that Salesforce is moving forward with Lightning, building the Lightning-Classic connective feature, and slowly deprecating Salesforce Classic. Nearly every feature update in the most recent release notes deprecated functionality from Classic. Salesforce is following a careful path of nudging customers to make the jump to Lightning so that Classic can be phased out. Besides trumpeting the benefits of Lightning, providing tools, and helping to plan and execute your migration, Salesforce has already defaulted new customers to Lightning. Long-term, the benefits of migrating to Lightning will be undeniable for organizations taking advantage of the intelligent, intuitive UI and the range of new tools and services. However, in the short term, the cost of making the transition may seem daunting. Salesforce is making the transition as easy as it can by running both versions at the same time. For admins, it’s more complicated. Smaller teams can just flick the switch — after adequate Salesforce training. However, admins for larger teams should identify groups that can migrate as a unit, independently of each other, when there’s a business case for the transition. Be aware that there’s always an opportunity for chaos when running different versions of software in parallel – trying to keep them from getting in each other’s way and dealing with the consequences of data and processes that must span versions. Those people who need to be running both versions will find their productivity suffers. Switching between versions will slow you down as software loads. It’s hard to be competent in two very different UIs; habits that make you effortlessly productive in one version will trip you up in the other. If you’re already in invested in Salesforce Classic, making the jump to Lightning will be nontrivial. Careful planning and a period running both versions may be your best bet. Happily, once you get there, Lightning will be a win.